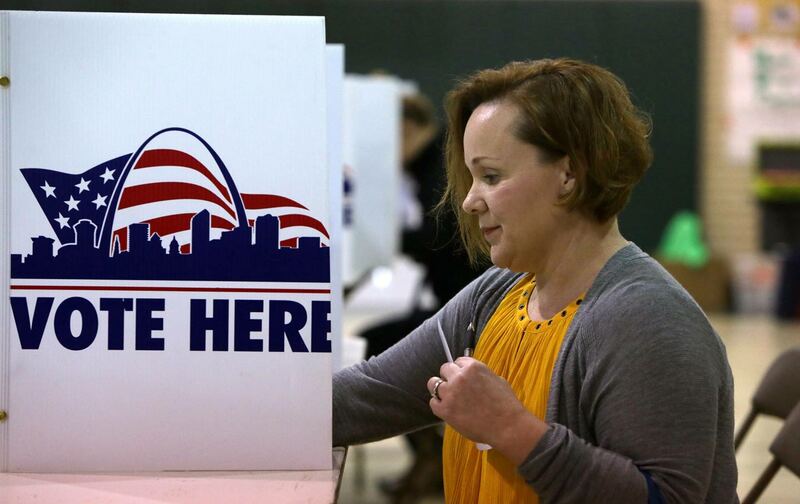 Missouri Democrats filibustered against the GOP-sponsored bill, noting that 5 percent of the electorate—220,000 registered voters—lack a government-issued photo ID. Missouri Republicans have been trying for a decade to enact a strict voter-ID law, and 2016 could finally be their year. As a result, the legislature passed a compromise, allowing voters without a photo ID to sign a statement under penalty of perjury confirming their identify and provide a non-photo ID, like a utility bill or bank statement, which is already required under current law. However, a similar compromise in North Carolina failed to prevent widespread problems at the polls during this year’s primary, with poll workers wrongly telling voters they needed photo ID and administering “spelling tests” to minority voters that seemed like the literacy tests of yesteryear. More than 1,300 ballots were rejected because voters did not provide the proper ID. “The experience in North Carolina tells us the information doesn’t trickle down to voters, who will only hear ‘photo ID is required’ and that will be a deterrent to voting,” says Denise Lieberman, a lawyer with the Advancement Project who lives in St. Louis. Lieberman’s 85-year-old mother, Joy, is one of the people who could be impacted by the voter-ID law. Though she’s voted since 1952 and was an elected official for 25 years, the first name she uses on all government documents, including her voter registration card, is actually her middle name, which is not included on her original birth certificate from 1931. When her driver’s license expires, Joy’s birth certificate may not be accepted as proper documentation for obtaining a voter ID. The Missouri GOP’s obsession with voter fraud dates back to the 2000 election, when a botched voter purge in St. Louis led to chaos on Election Day and polls were briefly kept open late to give people more time to vote, which Missouri Republicans wrongly blamed for US Senator John Ashcroft’s close loss. “Democrats in the city of St. Louis are trying to steal this election,” Missouri GOP Senator Kit Bond alleged. After Ashcroft became George W. Bush’s attorney general, a new right-wing voter-fraud crusade was born. Ashcroft’s son, Jay, a Republican candidate for secretary of state, is now a leading proponent of the voter-ID ballot initiative. Despite repeatedly crying wolf, Missouri Republicans haven’t offered any evidence of voter impersonation to justify the voter-ID law. “There has not been a single case of voter impersonation fraud reported to the Secretary of State’s office,” reports Secretary of State Jason Kander, a Democrat who is now running for the US Senate. The ten-year voter-ID push has more to do with the intersection of race and political power. Missouri is one of the most racially divided states in the country, a fact vividly reflected by the protests in Ferguson. The ACLU is currently suing Ferguson’s school board for violating the VRA by preventing minority candidates from being elected. African Americans in St. Louis and Kansas City—the constituencies most impacted by the ID law—are the core of the Democratic Party in Missouri. A poll last month showed Hillary Clinton leading Donald Trump 42 to 40 percent in the state. Trump led Clinton 46 to 34 percent among white voters, but Clinton led Trump by 84 to 4 percent among black voters. “Missouri Republicans became really good at equating all things Democratic with all things urban and all things urban with all things black,” says Jeff Smith, a former Missouri state senator and professor of urban policy at The New School. Unlike in 2012, when 10 major voting restrictions were blocked in court, this year the effort to make it harder to vote is succeeding. Because of a gutted VRA and conservative courts, 17 states have new voting restrictions in effect for the first time and 15 states have new or tougher voter-ID laws. Voters in Missouri will weigh in this November, and opponents of the voter-ID law will look toward Minnesota, which became the first state to defeat a similar ballot initiative in 2012. Though it was initially supported by 80 percent of the public, opponents of the photo-ID law, including Governor Mark Dayton, argued that it would have disenfranchised eligible voters (including members of the military and seniors), dumped an unfunded mandate on counties, and imperiled popular reforms like same-day voter registration. On Election Day, 52 percent of Minnesotans opposed the amendment.